Titusji a Christian man from Kerala, one of the 78 “Dandi Marcher” – Story from Nalloor Library. When we celebrate Independence Day on 15 August, it is noteworthy to read about an unknown hero of the Church. It’s a pride to the Mar Thoma Church that it has men of such vision and mission, who worked untiringly for the freedom of the country. We praise and thank God for such leaders like Mr. and Mrs. Titus of Bhopal. 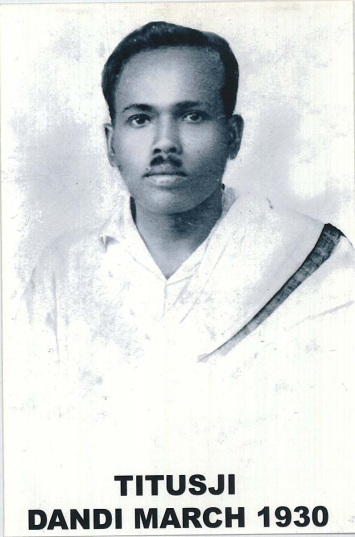 Titusji (b.18 Feb, 1905), hails from a farming family, (Theverthundiyil, Maramon) in Kerala. He was a member of the Maramon Mar Thoma Parish. After his high school graduation, he taught in a school in Vadasserikkara (a village about 20 km away from Maramon), for a few years and then joined the Allahabad Agriculture University and passed an Indian Dairy Diploma course with distinction. He was selected by Mahatma Gandhi as a secretary for his milk project in the Sabarmati Ashram near Ahmedabad. Mr. Gulzarilal Nanda (who later became prime mister of India) was the secretary of another unit. Both of them were trusted friends of Gandhiji. 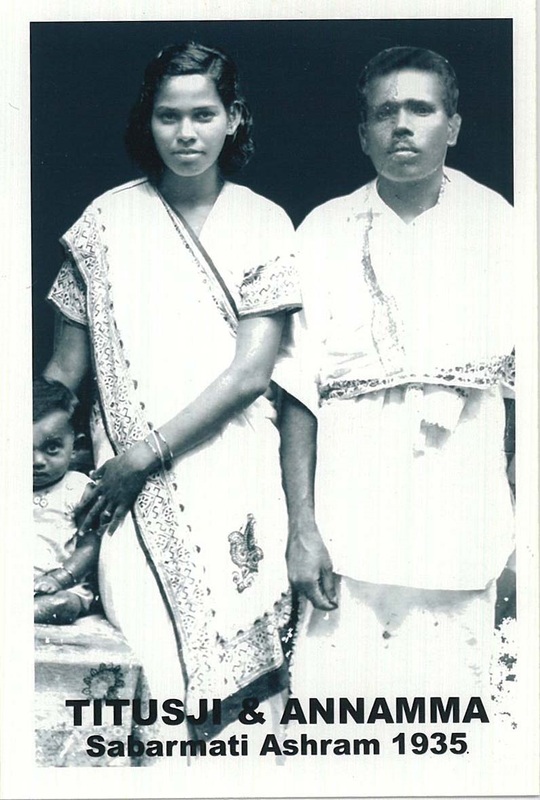 Titus got married in 1933, and his wife joined the Sabarmati Ashram; her wedding ornaments were donated to the Ashram. In 1930, when Mahatma Gandhi decided to break the salt law, he chose trusted Titus to be one of the selected 78 men. Gandhiji, Titusji and 77 others marched from Sabarmathi to Dandi beach to make salt in the symbolic way. Titus was the only Christian in that group. They were beaten up and arrested by the British. During one of his visits to Kerala, Titusji burnt the British clothes (foreign clothes) in Kottayam and gave a fiery speech to thousands of Keralites. Mahatma Gandhi visited Titusji’s house in Maramon (Theverthundiyil) on his way to the famous Hindu temple in Aranmula near Chengannur. This was considered one of the greatest events in Central Travancore. In and around Maramon, thousands witnessed his visit. After Independence, Titusji settled in Bhopal. He always wore a Khadi. He helped thousands of youngsters find jobs in Madhya Pradesh. He was a very active member of the Mar Thoma Church in Bhopal. 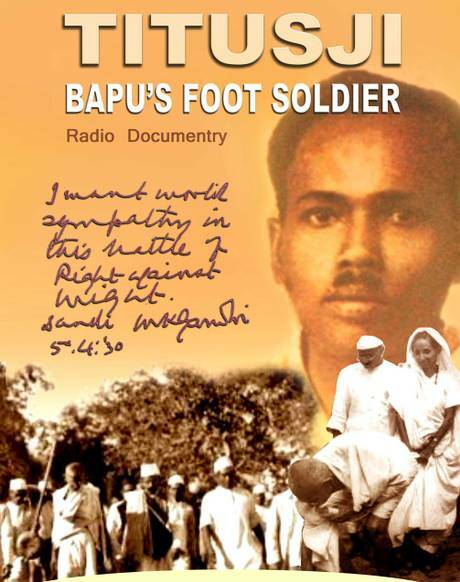 In 1970, he published the book “The Bharat of my Dreams”. He passed away on 8 August, 1980, at the Kasthurba Hospital in Bhopal. He never got any medals or pension for his participation in the freedom struggle. NB. In his earlier days he was known by the name Titus. “Titusji” was the name given to him by Mahatma Gandhi as a token of love and honour.